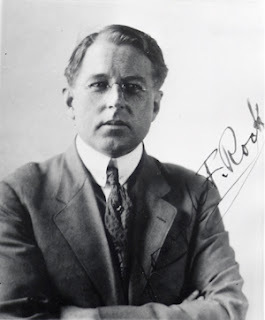 Joseph Rock first came to China in 1913, on a brief visit when he was almost thirty years old. He was on a world tour after taking extended leave from his position as a botanical researcher at the newly-established University of Hawaii. At a relatively young age, he had already achieved a great deal – in fact his accomplishments at 30 would have been regarded by many other men as sufficient reward for a lifetime’s work. From humble beginnings as the son of a Viennese servant he had settled in the US and become a respected university academic and the author of several scientific publications that had garnered international acclaim. One of these, The Indigenous Trees of Hawaii is still a classic reference text on the subject. How had he done it? Josef Franz Karl Rock was born in 1884 in Vienna, at that time one of Europe’s great cities, the sophisticated capital of the powerful Austro-Hungarian Empire. His mother died when he was only six, and he was raised by his father and sister. It was not a happy childhood - his father worked as a servant for a Polish aristocrat, and he was a devout Roman Catholic who hoped that his son Josef would enter the priesthood. But young Josef had other ideas. From an early age he developed an interest in foreign lands and their languages. At the age of 10 he visited Egypt with his father and picked up some Arabic, which he continued to learn until by the age of 16 he was able to become a part time teacher of Arabic. He had a keen intellect and yet was also stubborn and egotistical. His inquiring mind was stultified by the rigid Austrian school system and he took to teaching himself languages and studying books alone to satisfy his need for scholarship. 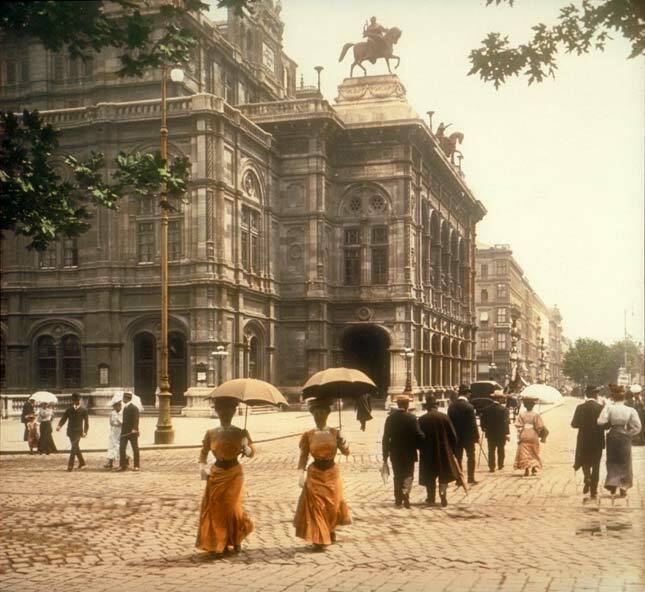 He often skipped classes to wander the streets and parks of the wonderful city of Wien and dream of great adventures. He mixed with the Arab and Turkish traders at the Prater Park and taught himself to read and write Chinese characters, imagining that he would one day travel to Peking. Living in the household of a Count, he developed an appreciation of grand clothes, high culture, music and civilised manners, even if he didn't have the means to enjoy such fine things or mix in such company. Josef Rock was a pauper and could barely afford a decent suit, let alone to go to university. Rebelling against his father’s insistence that he enter a seminary, he instead took to drifting round Europe, picking up odd jobs here and there and living off remittances from his older sister back in Vienna. Like many impoverished people of that era, he developed tuberculosis, a disease that was to shape his destiny in many ways. A spell in the warm Mediterranean climate of Malta seemed to help his lungs, but the jobless Rock was eventually forced by penury to work his passage back to wintery Hamburg, where his consumptive, blood-stained cough returned. When his father died, the young Rock inherited a pitiful few artefacts such as a gold watch, that he was able to sell and scrape together the cost of a passage by ship to New York. At the turn of the century in United States, he continued his drifting lifestyle, working as a dishwasher, interspersed with periods of studying English at college and stays in hospital for treatment of his tuberculosis. Wandering alone, living on his wits but making no friends, he moved from New York to Waco, Texas, passed a few months in Mexico and eventually ended up in the earthquake-shattered city of San Francisco in 1906. Still plagued by tuberculosis, he decided that the climate of Hawaii was his only chance of better health, and he took a ship to Honolulu. It had only been 25 years since American Marines had landed in the subtropical kingdom of Hawaii and usurped power from Queen Liliuokalani in favour of US sugar plantation owners. The islands were still an undeveloped and relatively unexplored backwater, with a scattered population of little more than 150,000 people. As a seemingly educated European, Rock was able to talk himself into a job at a local school, teaching Latin and natural history. Despite having no formal training in science, he excelled at the latter subject, in part due to his enthusiasm for teaching himself through field trips. He enjoyed being out of doors, and found that it was good for his lungs. After a year, with his tuberculosis still flaring up during his classroom spells indoors, he left the school took up an outdoor job with the forestry department, hoping it would help his lungs. The legend here has it that Rock barged his way into the Hawaiian department of forestry and told them that they must have a herbarium - and that he was the man who going to create it for them. Whatever the truth, he was engaged by the department as a botanical collector, and tasked with collecting seeds and specimens of rare Hawaiian trees an shrubs. The now anglicised Joseph Rock applied himself with diligence, enterprise and scholarly enthusiasm to his new role. He was fortunate in arriving at a time when little was known about the flora of the Hawaiian Islands, and the other two foresters working for the department seemed to have neither the ability nor inclination to get out and collect, classify and study the native plants, trees, flowers and seeds. Joseph Rock had found his vocation. 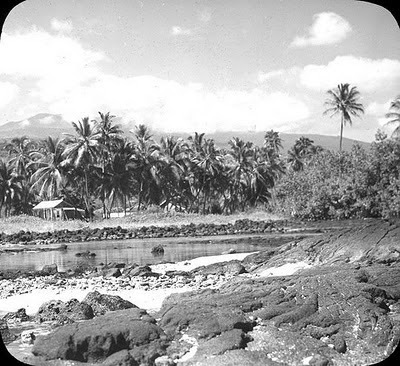 Over the next three years he threw himself into wide-ranging plant-hunting trips around the islands of Hawaii, on which he pursued botanical investigations for the forestry department with zeal and scholarly thoroughness. He believed in being out in the field rather than cooped up in an office as an “armchair botanist”. In remote corners of the islands he would seek help from ranchers and plantation owners, charming their wives and children with his European manners and regaling them with exciting stories of his travels and adventures. He also studied the botanical textbooks and taught himself from the scientific literature. Within a couple of years he had published his first botanical paper and mounted an award-winning exhibit of local flora. After another year, he believed he had accrued enough experience in botany to try a move into academia. In later years he styled himself as “Dr” Rock, and some have portrayed him as a charlatan, claiming he faked his qualifications and conned his way into positions that he was not qualified for. Perhaps there is an element of truth in that, for the servant’s boy from status-conscious Vienna must surely have craved the prestige of being a Herr Doktor. Nevertheless, Rock’s scholarly achievements in botany alone, not to mention his later anthropological work, would surely merit a PhD, even if he was never formally awarded one. He joined the College of Hawaii – forerunner to the university – in 1911 and was to spend a very productive decade of research and scholarship there, rising to become Professor of Systematic Botany. He continued to spend much of his time in the field, collecting specimens and getting to know every inch of the islands and their plants. In the years before the Great War, Joseph Rock published prodigiously in scientific journals using English – his second language – and he wrote three major books on his subject. Rock also had a few students, but proved to be a hard taskmaster with a reputation for moodiness and an explosive temper. 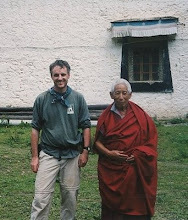 After a couple of years at the college he felt sufficiently secure to take time out to make a round the world trip. Travelling via Guam and the Philippines, he arrived in Hong Kong in October 1913 for a brief stopover en route to Europe. 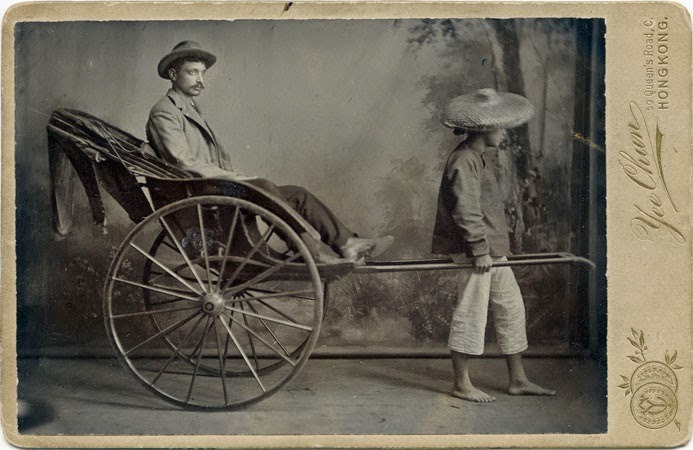 In Kowloon, the young visitor thrilled at being taken for a ride on a rickshaw pulled by a fellow human being, and like modern day visitors spent time shopping in the densely packed streets of the young British colony. Rock then visited Guangzhou to see the ‘real China’. He disembarked at the Anglo-French traders’ enclave of Shamian island on the Pearl River in the centre of the city, and was taken over the small bridge, past the Chinese sentries to enter the new Republic of China. It had been only a year or so since the Manchu Qing dynasty had been overthrown and the Emperoro Pu Yi forced to abdicate by military forces following uprisings that started in Guangzhou. As Rock toured the streets of Guangzhou, he was delighted to find that it matched all his childhood expectations. The warren of streets, the smells, the noise, the markets and craft shops … the bustling crowds ordered by his rickshaw collies to “make way for the foreign devil”… and Rock noted that his presence was resented by many, who cursed at him and kicked at his rickshaw chair. It was the most interesting place I have seen or hope to see, he wrote in his diary. And he would be back within a few years, to lead a plant hunting expedition to Yunnan. 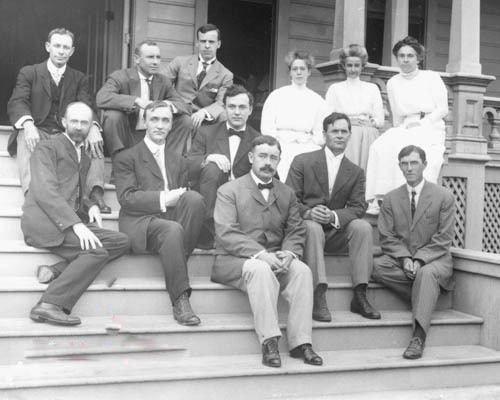 By 1920, it seems Joseph Rock was unhappy at the College of Hawaii. Perhaps he was getting itchy feet. There was a dispute about the housing of his now vast herbarium, over which he resigned and he travelled to mainland United States to look for work as a botanist. Despite his excellent academic work in Hawaii, his lack of formal qualifications - a PhD in particular - may have explained why he was rebuffed by Harvard, and also found no opportunities in New York. However, Rock was fortunate in his timing. The US Department of Agriculture was looking for a plant collector to bring back samples of the chaulmoogra tree from Asia, as this was considered a possible cure for leprosy. It was a position for which Rock was ideally suited, and he was quickly hired and sent on his way to Siam (Thailand), where he mounted an expedition that travelled up through the far north of the country, into Burma and ultimately into Bengal, India. 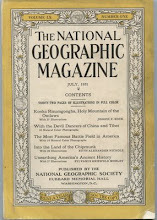 It was on this first trip that Rock penned his first article for National Geographic. He was an industrious and productive collector, and the USDA were so satisfied with his results that they suggested that he mount a further plant collecting trip into western China, to seek out samples of blight-resistant chestnut trees to replace the chestnut trees that were dying out in America's forests. But first, Rock made a return visit to Vienna, where he was able to parade his success to the remaining members of his family. He then headed to Kunming in Yunnan. 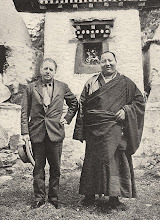 Over the next year, his plant collecting activities in remote areas of Yunnan drew the attention of the National Geographic Society's president, Gilbert Grosvenor, who was impressed enough to propose that the society take over sponsorship from the USDA, and to provide Rock with funds to allow him to travel further afield and for longer periods. Joseph Rock was to spend the next 18 months on an epic and productive plant collecting expedition across many areas of Yunnan, ranging from the tropical borders of Burma and Siam to the barren mountains and highland plateaus of eastern Tibet. He collected thousands of samples of seeds for numerous plants and trees, as well as around 60,000 herbarium samples. Gilbert Grosvenor later described the collection of 493 different rhododendrons gathered by the National Geographic Expedition as "one of the most remarkable ever brought together." Joseph Rock was making a name for himself. The society donated many of Rock’s samples to his former sponsor, the USDA. The secretary for the department, Henry Wallace, wrote to Grosvenor to express his admiration of "Professor Rock's" efforts. "Members of this department have followed with interest his wanderings of the last 18 months, and have particularly marvelled at his success in packing and forwarding his collection of seeds to Washington," he said. The seeds and plant specimens collected by Rock were distributed to botanical gardens in the US and in the UK, as well as to private nurseries and museums. Rock had also collected 1600 samples of birds and 60 of animals from Yunnan, all of which were meticulously prepared and documented. His collection was described as one of the most unusual and "the most important single contribution" to the Smithsonian National Museum natural history section at that time. This was the trip on which Joseph Rock made his 'dash to Muli' that became the subject of an article in National Geographic magazine. Muli was where the Rock legend and myth building really began. I have always been fascinated with Joseph Black since I first watched him on a documentary from the National Geographic Channel. I admire explorers who never cease to wonder the diversity and beauty of this world. Ever thinking about writing a book about him? Thank Lobelia. Yes I've been trying to get a e-book published - it basically comprises the chapters that you can see on the right hand side of the page. Watch this space. Hi Michael, Great stuff...especially as I am researching for a Discovery Channel shoot on alpine plants in Yunnan province. I am intrigued with Joseph Rock and it would be nice to incorporate more than a passing reference to him in our show. If there is any advice you can give me with resources to check out or places to visit in Yunnan I would really appreciate it. I am heading back there shortly. Cheers from across the ditch. Thanks for the feedback Michael, I'll follow up on those links. Hi and thanks for an interesting site on Joseph Rock. I'm more into botany. Do you know of any publications that describe the interesting and diverse biotopes incl wildflower species in the northern rainforest valleys that Rock discovered?